Appliance Installation by Diliberto Plumbing and Heating, Inc.
Let the experts take the hassle out of installing your new appliances. Our Master Technicians will make sure your new dishwasher, washing machine, refrigerator or gas stove is installed correctly and working before we leave. We have years of experience installing appliances of all kinds, and we would be happy to serve you. See the list below of appliances that we install. 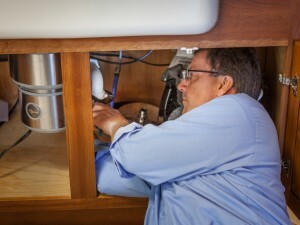 Garbage Disposals serviced and installed. Gas stoves and ovens connected with gas piping. Ice Makers connected with water piping. Washing Machine Valves & Hoses Installed.